The shader was programmed by Yves Poissant and he was very kind to allow me to make it available here. Thanks again Yves! 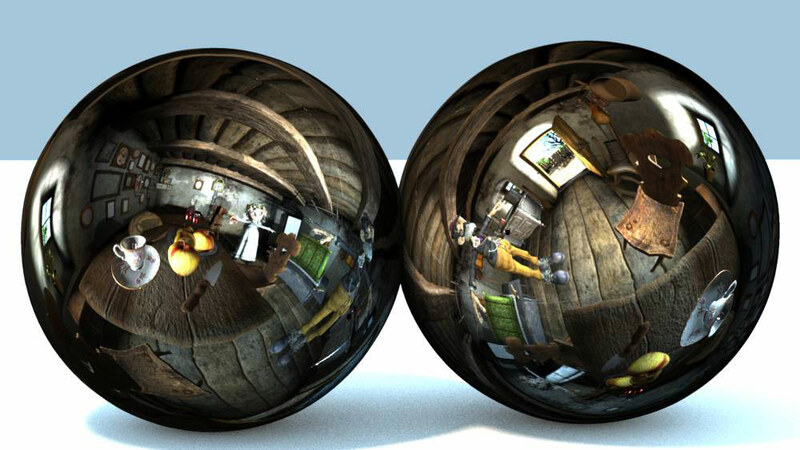 This shader is used to create fake-reflections on a surface. These reflections are create by an image (for example an EXR-HDRI-image) which will be used like an Environment-Map with the exception that the shader will take the lightening in account. The shader is used to create fast, realistic Reflections. It will multiply the specified image with the underling surface-attributes and textures and is much faster than raytracing-reflections. To install the shader, please copy the *.shd-file in the folder Shaders of your A:M installation and restart A:M.